Grand Rapids Area Golf Packages - Choose from an array of beautiful yet challenging golf courses, while staying at one of the area's finest hotels for your golf getaway to the Grand Rapids area! Golf partners include Boulder Creek Golf Club, the Golf Club at Thornapple Pointe, Pilgrim's Run Golf Club, and The Mines Golf Club. Two days, one relaxing night and 36 holes of golf. When calling 888-533-7742 X4, please mention you saw this golf package on GolfTrips.com and mention promo code: GolfMichigan.com. 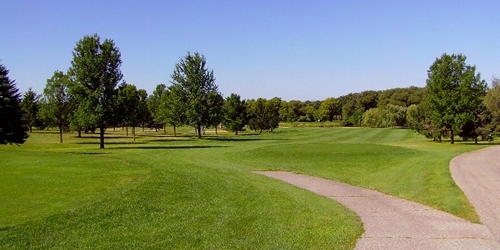 Door Creek Golf Course reserves the right to change price and offer at anytime. Prices and offer are subject to change without notice. GolfTrips.com is not responsible for errors posted in this golf package.